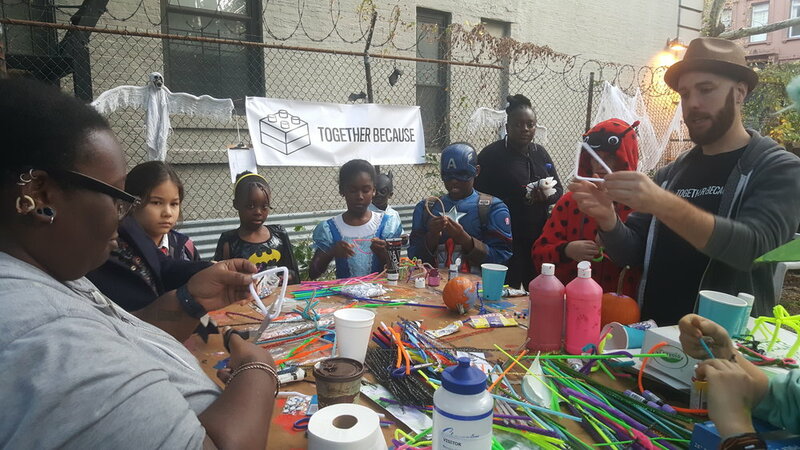 On Saturday afternoon, leaders from Together Because joined Crown Heights families for an afternoon of grilling, art, and halloween costumes! 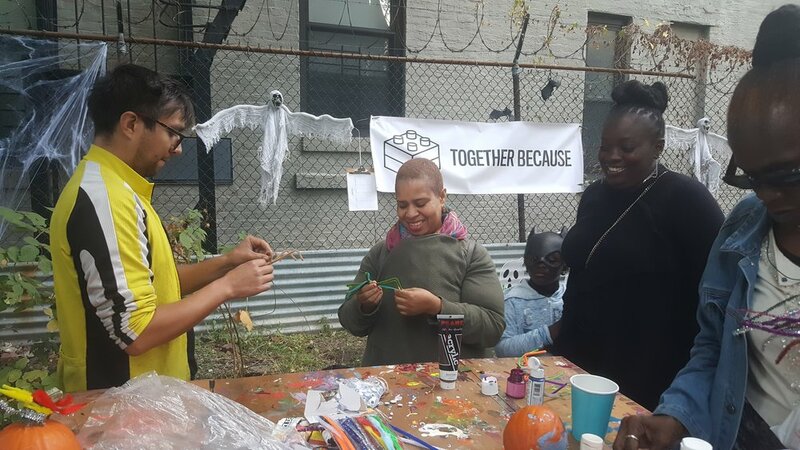 Thanks to the incredible Art Cart, we were able to make fun and spooky crafts with kids while talking with parents about organizing and building power in their community. 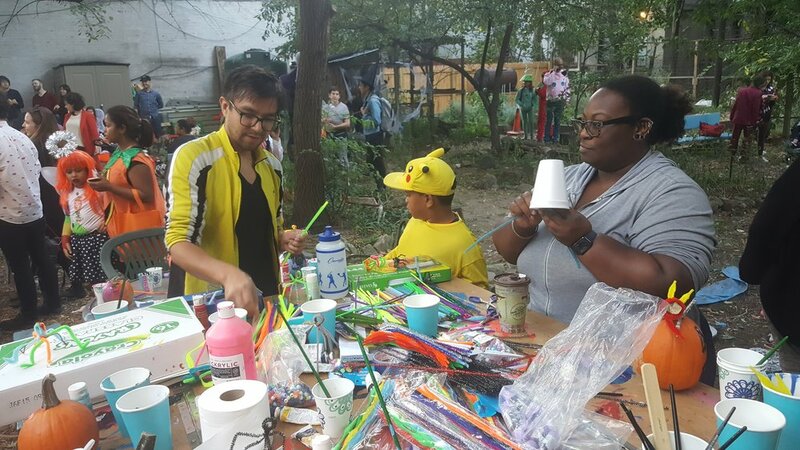 We were able to meet dozens of residents interested in following up with Together Because to deepen relationships and talk about the changes in their neighborhood that they would like to see.